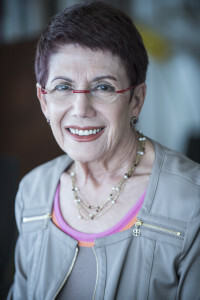 Prof. Anita Shapira the former Ruben Merenfeld Professor in the Study of Zionism at Tel Aviv University, former dean of the faculty of Humanities at Tel Aviv University and head of the Rabin Center. She served in many public bodies, such as the Council for higher education, the claims conference, and also was the president of the Memorial foundation of Jewish culture. Shapira specializes in modern and contemporary Jewish history, especially in social and cultural history and questions of identity. She taught at the University of Pennsylvania, Columbia and the Maximilian University in Munich. She published numerous books and articles on the history of Zionism, the Jewish community in Palestine and the state of Israel. Her best-known works are “Berl Katznelson: a Biography of a Socialist Zionist” (CUP), “Land and Power, the Zionist Resort to Force, 1882-1948”(OUP and Stanford UP), “Yigal Allon: Native Son” (Pennsylvania UP), “Yosef Hayyim Brenner, A Life Story” (Stanford UP). Her comprehensive book “Israel: A History” (Brandeis UP), won the National Jewish Book Award in 2012. 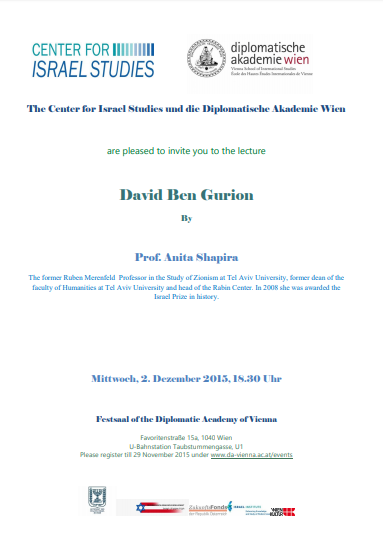 Recently she published “Ben Gurion: The Founder of Modern Israel” (Yale UP). She won many prizes and awards. 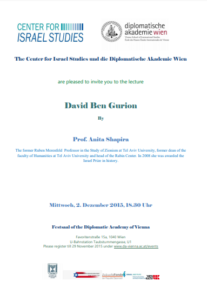 In 2008 she was awarded the Israel Prize in history.